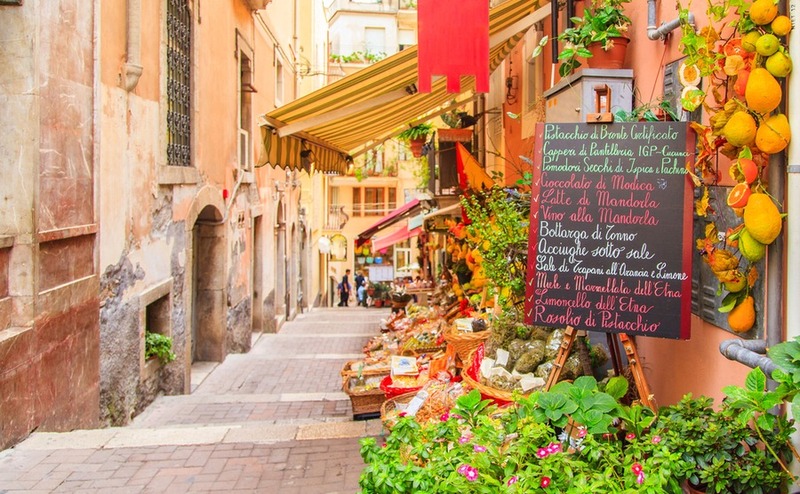 On first visiting Italy you can’t help but fall in love with the history, the culture and the food. What if you could find a way to live that Italian lifestyle and make a living from sharing it with visitors? Holidays that offer authentic lifestyle experiences have become very popular, and in turn offer property buyers many ways to make an income from their Italian home. New entrepreneurs have some very interesting ideas for a holiday accommodation business that makes the most of existing houses and brings tourists to lesser-known regions. It’s a great way for visitors to experience what Italian life is really all about. The buzzword at the moment is “Sustainable tourism”. Your holiday accommodation business should encourage tourists to make a positive impact on the environment, society, and the local economy. We don’t want to see the culture and appearance of Italy be destroyed by overcrowding in tourist hot spots or people buying holiday homes that are left empty for most of the year. 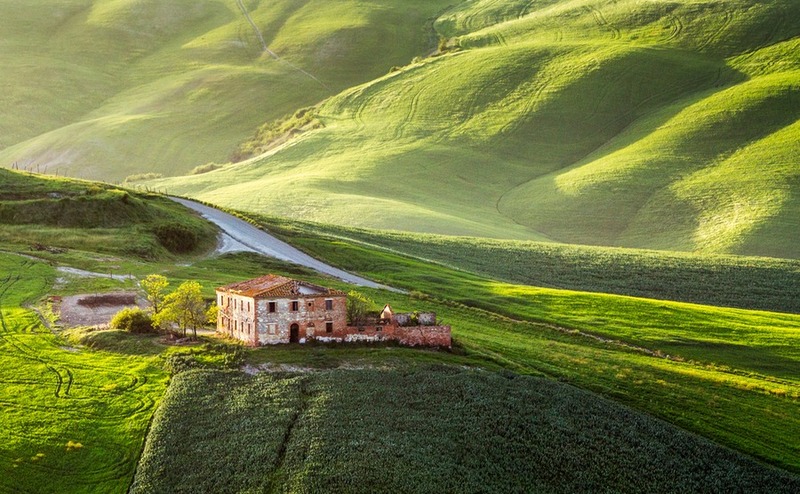 There are so many great old properties in Italy waiting for a new lease of life and some beautiful areas that have been untouched by tourism. The challenge is to bring tourism to places where it can help the local economy, and at the same time encourage young Italians to stay and carry on the traditions, crafts and architectural skills handed down to them. Many expats will choose to renovate a property and turn it into a holiday accommodation business. By simply employing local people to renovate your property and then allowing them to provide services to your tourist guests, you can greatly help the local community. It can open up many other job opportunities too, including airport transfers, souvenir shops and cafés. So, rather than building a flashy new hotel, what type of holiday accommodation could you provide? Italy has some charming small towns and villages where people hand down traditional skills and crafts. If you peek through doorways you will find small family run businesses, including carpenters, potters, bakers and pasta makers. When you first move to one of these villages, it may appear sleepy. However, there is a hive of activity going on behind closed doors. Many people will also own land that they go and tend. They’ll also be producing some of the best cheese and pasta you have ever tasted. If you have questions about buying in Italy, speak to your Italy Specialists in our Resource Centre. You can ring on 020 7898 0549 or send us an email at italy@propertyguides.com. The older generation have a wealth of skills and knowledge that they love to pass down. This could be anything from when to plant your peas to local folk dancing. With Italians now having fewer children and many of those going away to study and work, Italians are growing concerned about the future of these villages. Many of them have empty buildings dotted around the historic centres, just waiting for a keen restorer to come along. These properties are cheap to buy and by renovating them, you’ll be bringing work to local tradespeople, builder’s merchants etc. What is an Alberghi Diffusi? Put basically, an Alberghi Diffusi is a hotel, but with the sleeping accommodation spread out in various locations around the historic centre. It makes use of traditional old buildings, to provide guests with the opportunity to experience living among the locals. At the same time, it has the luxury and convenience of hotel services within 200 metres. The main hotel building may include a reception, common areas and a dining room. The idea is to utilise what is already there rather than build a big fancy new hotel, thus respecting the local environment. It’s possible to provide your guests with boutique hotel luxury alongside a real Italian experience, with authentic little touches in the rooms. This can be achieved by highlighting the character features, such as stone walls and fireplaces, and collecting some interesting pieces from the local antiques market. A sleepy Italian village can hide plenty of artisanal workshops and shops that would welcome the business from holiday accommodation. By bringing tourists into the heart of the community, the locals will also be able to benefit from the holiday accommodation business. The younger ones may even be encouraged to start up their own businesses to serve the visitors needs. These could be a laundry, bars, restaurants, entertainment etc. There is also the potential to do demonstrations and workshops in cooking Italian dishes and learning traditional crafts. To find a good location to start up an “Alberghi Diffusi” holiday accommodation business, explore some of the lesser-known villages that are within driving distance of more famous ones. Try also ones near places of interest such as UNESCO World Heritage sites, National Parks, wine routes, cycle routes and outstanding scenery. Ask locally about what events take place throughout the year, such as food festivals. This is a way to gauge how welcoming the locals are to the idea of tourists living next door. When you buy a property in the historic centre, be aware of the location of noisy residents. Paying guests might not appreciate the local musician practising next door. For further information, visit the Alberghi Diffusi National Association website. Could you run a B&B in Italy? The old-style B&B is still going strong in Italy and there are some lovely Palazzi in the historic centres that are perfect for this type of business. These grand houses, once owned by noble families, tend to have generous-sized rooms with high ceilings. Big rooms are important if you want to incorporate a new ensuite bathroom into each bedroom. These gorgeous homes are full of character features that will wow your guests. If you are lucky, you’ll discover vaulted ceilings and feature fireplaces. The trend seems to be going towards providing very luxury accommodation with character features in the rooms, so that guests wake up and get that lovely relaxed feeling that they are really in Italy. Do plenty of research into what competition is in the area and find out how well they are doing. How many months of the year does the town get tourists? Even out of season there may be religious festivals, Christmas markets, food festivals and other events that bring people in. What is it about the property and the location that will attract visitors to your B&B over any other? Good hospitality and a delicious breakfast, using fresh local produce, are the key to getting those all-important 5 star reviews. For more information check out my guide to opening a B&B in Italy. If your dream is to have a farm in Italy and live a rural life with your family, it’s worth considering supplementing your income by welcoming tourists. Sharing the joys of country life with your guests can be very rewarding and keep you in touch with the world. Owning a farm is a dream shared by many city workers. Those with some marketing, hospitality, cooking or internet experience have the potential to run very successful Agriturismo businesses. When it comes to advertising your farm holidays and understanding the customer service expected by foreign tourists, you may actually have an advantage over local Italian farmers, even if you need a bit more help with the farming side. Agriturismo are working farms that also offer a holiday accommodation business. Types of farms can include land cultivation activities, animal breeding and forestry. Tourists who choose to stay at an “Agriturismo” are looking to spend their free time in the open air, at one with nature. They experience a rural environment full of culture, authentic traditions, and quality agricultural food products. The rules regarding setting up an Agriturismo are set out by not only the Government, but also regional authorities. As such, it’s important to check with your local “Comune” for specific guidelines and to get authorisation from the Mayor (Sindaco). You will be expected to demonstrate a connection between the tourism activities and the farm and have farming knowledge. The farm should really be the main part of your business. As you would expect, the premises will need to be checked by the health authorities and the fire brigade (Vigili del Fuoco) and authorisation given for road signs to be installed. It will also be necessary to register with the regional register of agri-tourism operators (regionale degli operatori agrituristici) and the Chamber of Commerce. You will need an accountant (Commercialista) to deal with the tax side of things. It’s the extra activities that will make your farm holiday stand out. For example, you may specialise in gastronomy, offering cooking courses, tastings of local produce, or organise tours of local wine cellars. Sports activities like cycling and horse riding are also popular. If the property or area is of historical interest or has interesting cultural events, these can also be good selling points. Guests are often interested in the workings of the farm, from simply collecting eggs to taking the olives to the press. Over time you will also learn about local traditions, crafts and products and be able to share your knowledge with your guests. For more information see my previous guide Italian farms offering agritourism. Also check out the Italian Agriturismo website. Many tourists love the freedom of renting a home in Italy. They can spend their holiday time living among the locals and enjoying the privacy of a private home. Have you ever been abroad and felt tempted to buy fish from the fishermen in the harbour, fresh vegetables from the market or a large chunk of cheese from a local producer? But, then, you remember you are staying in a hotel. Our free property finder service is a fantastic way to get personalised advice and help with your home hunt. Simply fill in our form and our Italy property hunter, Diana, will be in touch. Having the use of a kitchen enables tourists to enjoy shopping at the family-run butchers, greengrocers, fishmongers and bakers. Thus, also contributing to the local economy. They can also spend a morning at a local market sampling and buying the freshest fruit and vegetables they have ever tasted. The British, Australians, Danish and Germans are particularly drawn to countryside locations that have places to visit in the area. Fortunately for property buyers, countryside homes are still selling for very low prices, and with some renovation work they can be transformed into lovely holiday homes. There are also plenty of websites that make renting out your property really easy, as they advertise and take payments. Could you run a holiday accommodation rental? 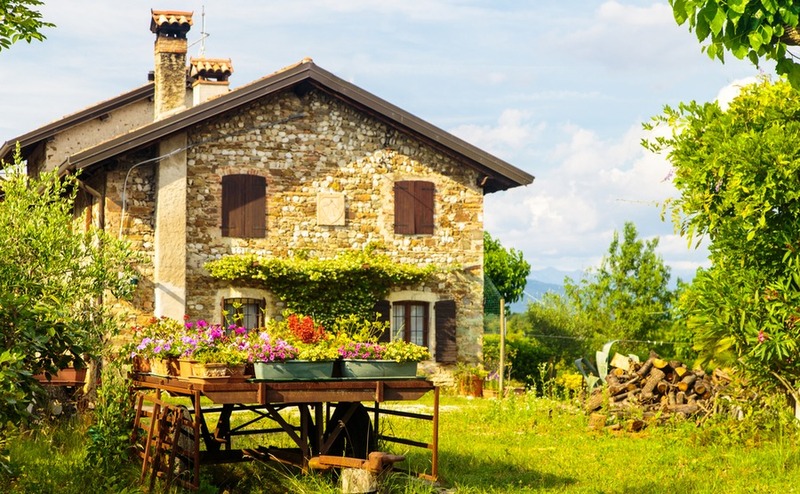 If you want to live in Italy and rent out a property, a popular option is to buy a farmhouse with outbuildings to convert into a holiday accommodation business. This way, you can keep a close eye on your guests and provide extra services. These properties aren’t always easy to find. However, another idea is to live in one property, and buy other houses or apartments in the nearby area to rent out separately. If you are really lucky, try asking the neighbour. They may be willing to sell, even if their home isn’t currently on the market. If you’d like to split your time between two locations, for example, a mountain chalet and a beach house, or city apartment and a country house, a way to help finance the two properties might be to offer holiday rental in the one you aren’t using. However, you should consider that the high season for holiday rentals may be at the same time as when you want to be there. For more information, see my earlier guide titled How can you rent out your Italian property? Whatever your choice for running a holiday accommodation business in Italy, you will need to be prepared for some hard work, or the money to employ local workers to do it. Opening your home to tourists can often be enjoyable and the start of some great new friendships. On the other hand, you need to be prepared for the fact that some might not treat your home with the same respect as you would. When you buy an old property and transform it into beautiful accommodation you will be brimming with pride and thoroughly enjoy showing it off to your guests. As you settle into the local community and learn about its traditions, cultural events and food, you will become an enthusiastic host, wanting to share all your local knowledge with your guests. Life is so good in Italy that it’s worth sharing.